As our local art house, Tampa Theatre, is gearing up for the Holidays by showing the original 1947 “Miracle on 34th Street”, we’ve decided to begin with this one too. It’s a great film to kick off the holidays as the action unfolds at the start of the annual Macy’s Day Thanksgiving Parade in New York City. *Cary Grant turned the part down. Perhaps with his innate sense of comedy and marketing of his own character, he knew that the strongest leads in this film weren’t for the males! *Natalie Wood debuts with one of the best performances by a child in film for that era or any other era to date. Her young and slightly cynical persona as Susie, the young level-headed and sensible little girl who dreams of living in a real house someday, is the glue that makes the film work. Had the part gone to a sickly sweet child without any patina of sophistication or age beyond her years, then the film would have made no sense. The point was to create a strong motivation for Kris (Edmund Gwenn) to convert the non-believers. *It’s still the Best of the Series-no remake has come close to the original 1947 film. *Fem Flicks: It’s one of the earliest films that portrays a working, divorced mother even with a semblance of realism. Maureen O’Hara does a brilliant job with this part. • Fred Mertz Foreshadowed: The small role for William Frawley was also pivotal. His cynical and worldly views underscore the Capra-esque overtones seen in the courtroom scenes. *Capitalism is featured front and center in the plot. But the real heart of the story is the human elements of faith and forgiveness that bind the main characters together. The weakest link is the male lead given to John Payne. Although Payne does quite a good job in the role, his part is not the essential one for the success of the story. 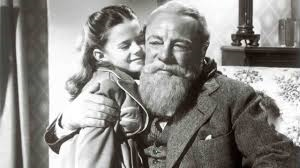 Miracle on 34th Street is definitely recommended viewing for all who have not seen the original. The black and white film needs no colorized version to give it life. To kick off the Holiday Season, it should be the first on everyone’s list. As mentioned above, Tampa Theatre is showing Miracle on 34th Street this week. 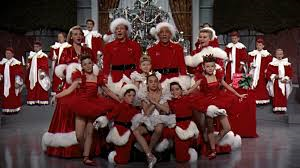 They are going to show other films in their Holiday Film Series, including It’s a Wonderful Life from 1946, Holiday Inn from 1942, White Christmas 1954, and Home Alone from 1990. The List of Holiday films featured in 6 Degrees is essentially an American Christmas Story. Americans seem to embody all of the elements that comprise the best and the worst parts of the Christmas season. The 6 Degrees List varies slightly from the Tampa Theatre list. I would definitely recommend seeing White Christmas on the big screen. It was a VistaVision Creation of the fifties, and the colors and the pageantry are all part of the lost era which was the Golden Age of Hollywood. But instead of showing Holiday Inn, 6 Degrees includes for week 3, A Christmas Story. It’s a nostalgic look at a bygone era. 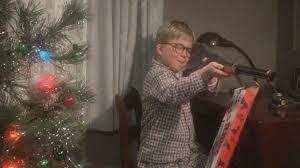 The saga of Ralphie and his quest to own a Red Ryder Rifle at Christmas still rings true for many of us. For week 4, Christmas Vacation. It’s the modern day classic comedy that embodies so much of the silliness of a Saturday Night Live ensemble with the heartwarming feel of a true Hallmark Christmas classic. 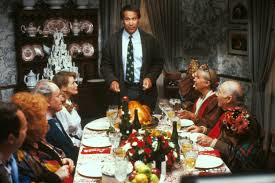 Chevy Chase is never better than in this role of Clark Griswold. For Christmas, Eve some version of the Nutcracker is always worthwhile. My personal favorite is still the Baryshnikov version. 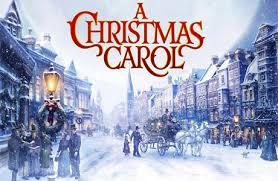 And for Christmas day, the Dickens story of A Christmas Carol is still the best of stories to savor and to dissect. We are all Scrooge’s in some part, as we enter into the Christmas season. So it is fitting and appropriate to spend at least part of your Holiday with the Dickensian model of Ebenezer Scrooge. Scrooge is the perfect vessel to reflect and to identify with all of our inner ambivalence and anger over the commercially created Christmas season. Happy Holidays to all our 6 Degrees Readers and we’ll see you @ the movies!